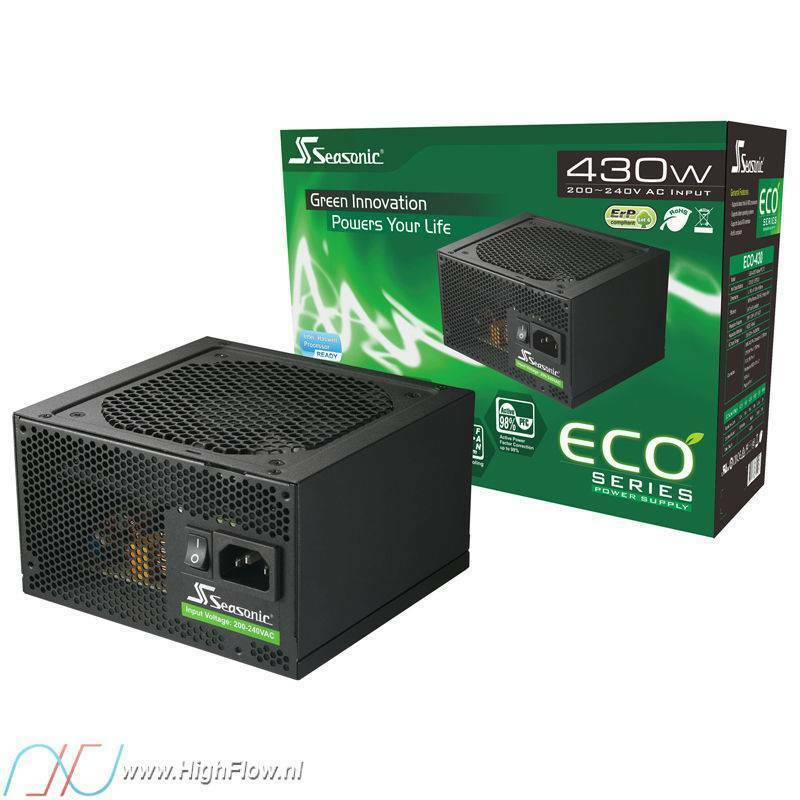 De ECO-430 PC-voeding is ontwikkeld voor kostenbewuste computergebruikers. De voeding heeft een efficiënt energiebeheersysteem in combinatie met de revolutionaire ventilatorregeling van Seasonic om te zorgen dat stroomconversie zo weinig mogelijk stroom verbruikt. Het fluisterstille ontwerp bevat ingebouwde beveiligingsfuncties die zorgen voor een betrouwbare werking. This environmentally friendly power supply is engineered for cost conscious mainstream computer users who appreciate the full set of environmental certifications this unit boasts. The industry’s most efficient power-management system combined with Sea Sonic’s revolutionary fan control make sure that during power conversion the least possible energy is wasted. This ultra-quiet design containss built-in safety features that ensure reliable operation and protect the entire system against electric failure. Although it is a conservative design, it still provides maximum compatibility with the latest components and for future platforms as well. The ECO‑430 is the essential combination of solid performance and incredible value.